Like every other Social networking site out there , Facebook has its share of Pros and cons. Talking about Cons, Facebook has seen a rampant growth in Fake accounts. Most of these Fake Facebook accounts are either created to spread spam and viruses or to dupe unsuspecting users and steal their financial information. While Facebook aims for providing the best and safest Social networking experience for all, unfortunately Facebook cant do much to stop the creation of fake accounts. Out of the 1.28 billion Facebook accounts, today the probability of Fake Facebook accounts can be somewhere near to 20 or 30 percent or even more. There is no way Facebook can manually delete all these Fake accounts or create an program to do so. The only way to help make Facebook Safer for all of us is working together and reporting out any suspicious Facebook accounts . Many cases have been registered in the past where Fake Facebook profiles were created and used to dupe many innocent users. From my experience of identifying fake accounts on Facebook, here some valuable advice from us that will help you identify fake accounts on Facebook and even alert others. These 5 tips will definitely help you to identify fake Facebook accounts and stay safe from these new breed of cyber criminals on Facebook. The next time you receive an friend request from a suspicious person, follow these tips below to identify if the Facebook account is real or Fake. This is definitely the most accurate and fastest way of identifying fake Facebook accounts .How does reverse image search help you identify Fake Facebook accounts ? Reverse image search actually takes an image as a input and searches for similar images existing on the internet . It is pretty much like an search engine for images . Using reverse image search you can easily find out the real identity of the person in any profile picture . If the Facebook account is real then you will have a hard time finding out a similar photograph of the user on the internet . Read: Find out how you can use Reverse image search to identify fake Facebook accounts. If the Facebook profile has less than one of his or her photo, then most probably it is an fake account. Most fake accounts tend to have a single profile picture. Find out when the user has joined Facebook, most fake accounts are created just less than a week before they start sending out rampant friend requests. Most fake profiles are created with an girls identity, which is why you should never accept friend requests from unknown females. Check out the friend list of the user. 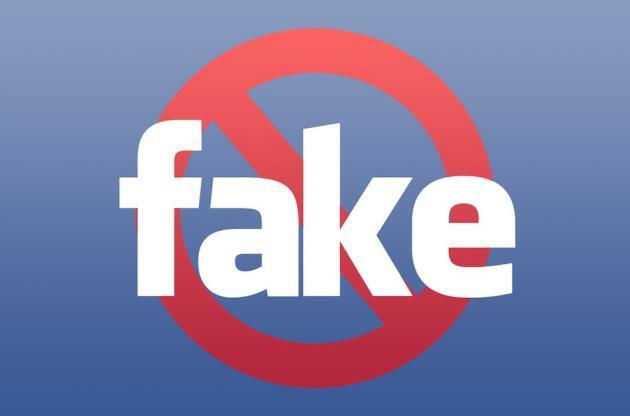 If a Fake Facebook account has many mutual friends with you, then chances are there that the Fake accounts is created by one of your friends who is trying to have some fun. Last but not the least , For the safety of yourself and others on Facebook do report the Fake Facebook accounts and request your friends to the same .